We moved into our place 5 years ago and are already discussing to move to the next place. So the time is right, to get the messy pile of shoes in the hallway sorted out. 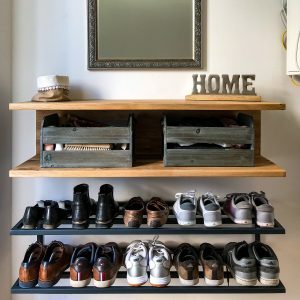 I planned on building a shoe-rack for almost 5 years and I had a pretty good idea of how it should look like since I did our brazed wood and steel coffee table. 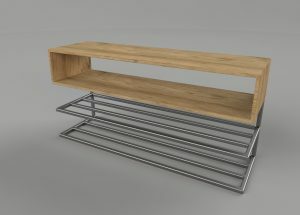 Not sure when I did the sketches, but finally I took the time and did a model in Fusion 360 and ordered some steel. 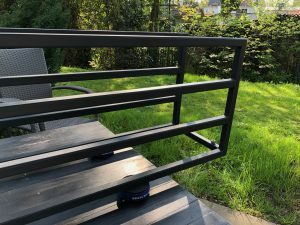 The CAD Design had two major problems: There is no plan on how to mount it to the wall and second no real connection between the wood and steel part. 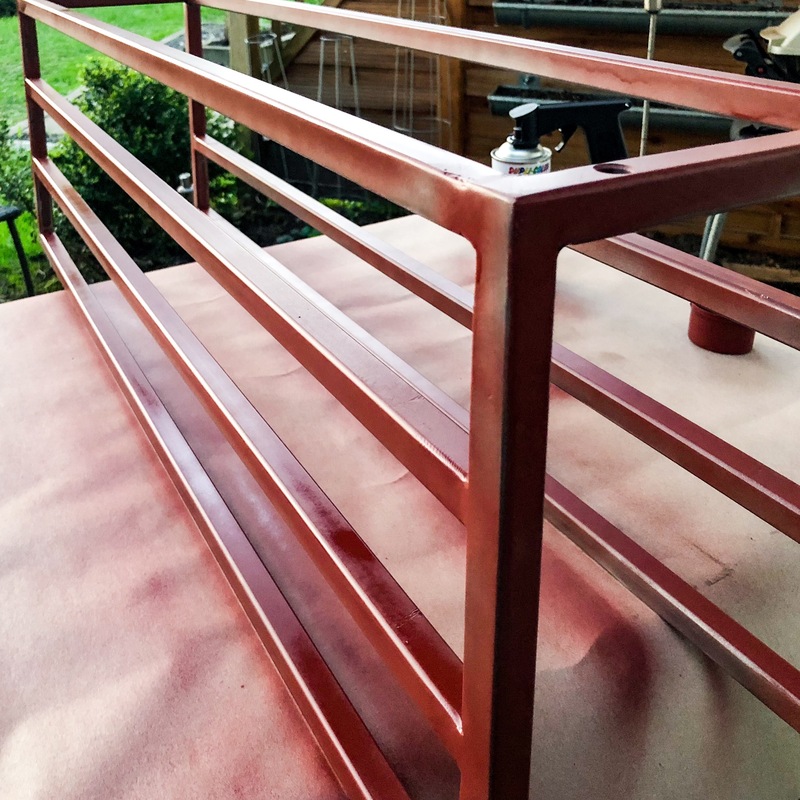 After welding the structural parts, which took quite a long time, as I only had a few minutes each night, I figured out, that my Design had two major flaws: There was no real connection between the wood portion and the steel portion and no elegant way to mount it to the wall. I decided, that I don´t want components, that are part of the design, but technically make no sense, so I decided to cut the upright tubes, that connected the wood and the steel portion so that the parts would end up as individual pieces. Also, I decided, to change the wood portion to a simple “U” shape. This would mimic the resulting steel frame. 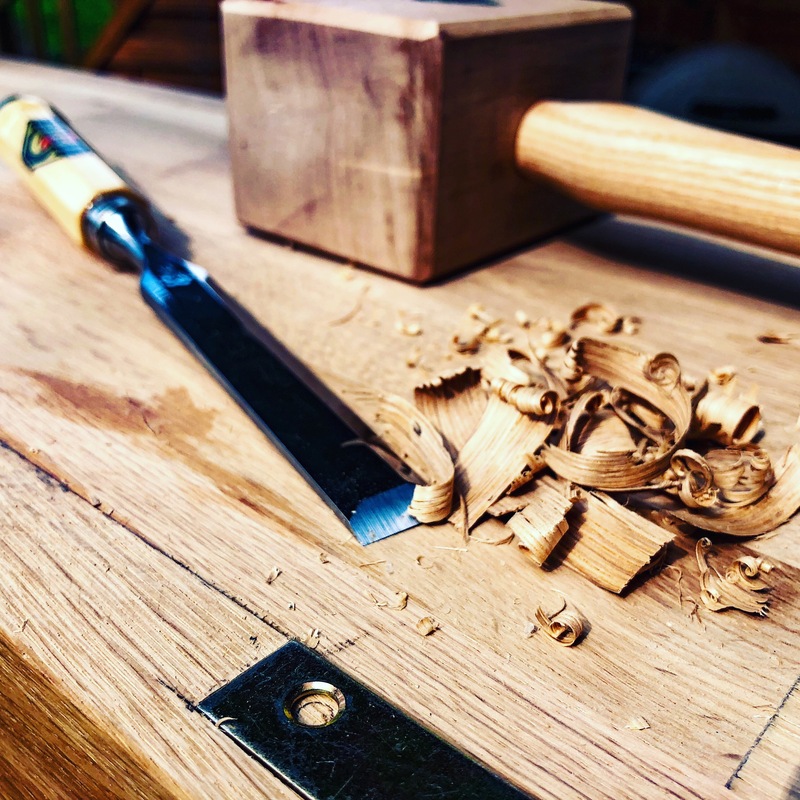 Sidenote: I envy American makers, who can just go to Rockler or even Home Depot and buy good quality wood at reasonable prices. 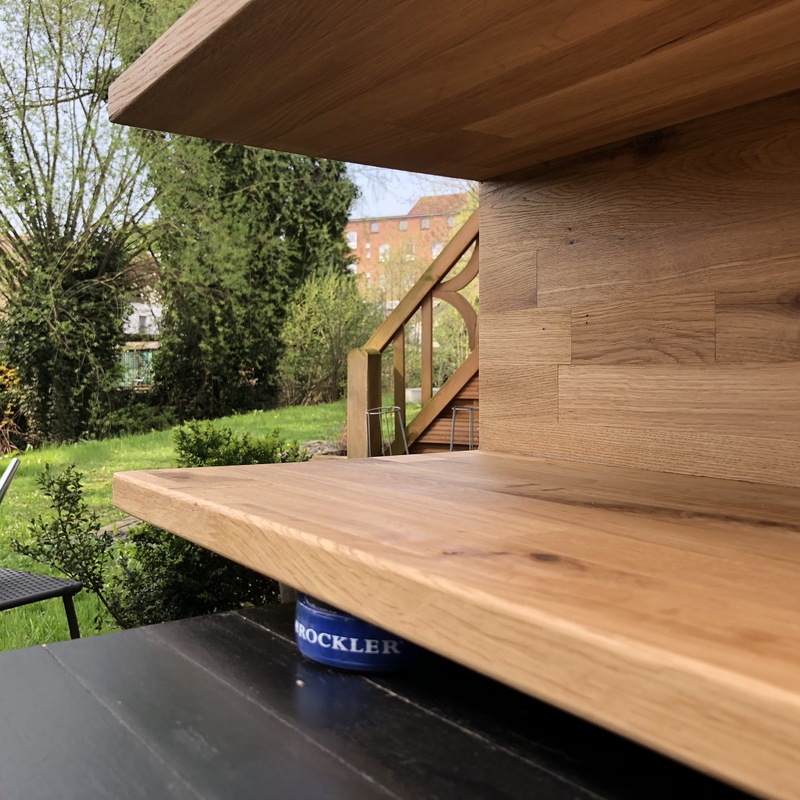 During this project, I was in the US and had a look at what is available at what price and when I came back I had to buy the oak for my shelf. I think I paid triple the amount, I would have spent in the US did not get, what I intended to use, and the quality they gave me was rather a junk. So if anyone in Hamburg can recommend a good hardwood store – other than A&J, I would be more than happy. Back to the project after final assembly, I chiseled out an indent for the fittings to hang the wood portion to the wall. Then sanded everything down to 400 grit and gave it an OSMO oil coating. I primed the steel portion – still experimenting with different primers – and then gave it a finish coating with RAL7013 matte spray paint. I really like the combination of wood and this matte dark gray steel. SandingI rounded over the edges with a 2mm round over bit and sanded down to 400 grit. Chizzle the nizzleChiseling out the cavities for the metal fittings to hang it to the wall. 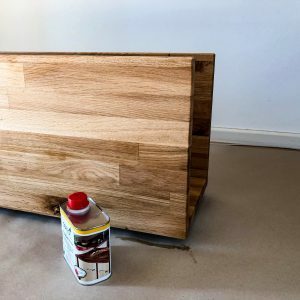 FinishingI finished the wood with an OSMO oil finis. Finishing the steelThe steel portion is painted in matte RAL7016 paint. Finally, I attached everything to the wall and voila only 5 years after moving in, we have our hallway organized. 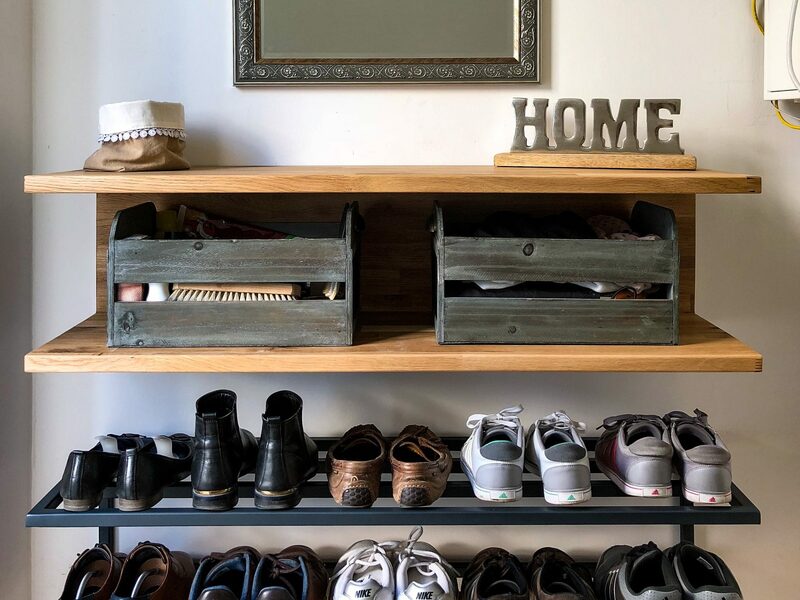 Our shoe rack moved into its final position.